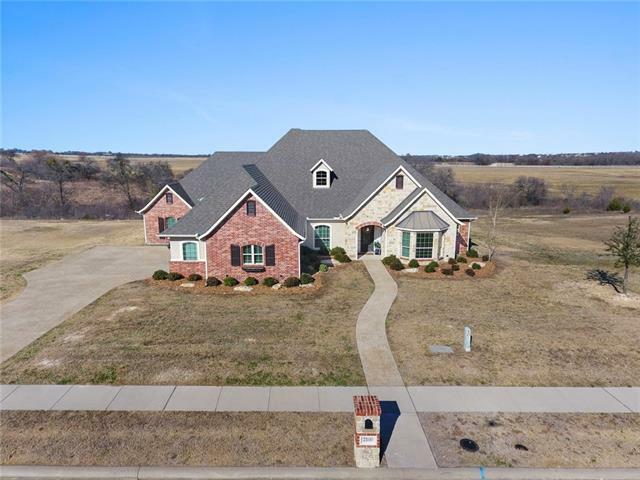 All Gunter homes currently listed for sale in Gunter as of 04/24/2019 are shown below. You can change the search criteria at any time by pressing the 'Change Search' button below. 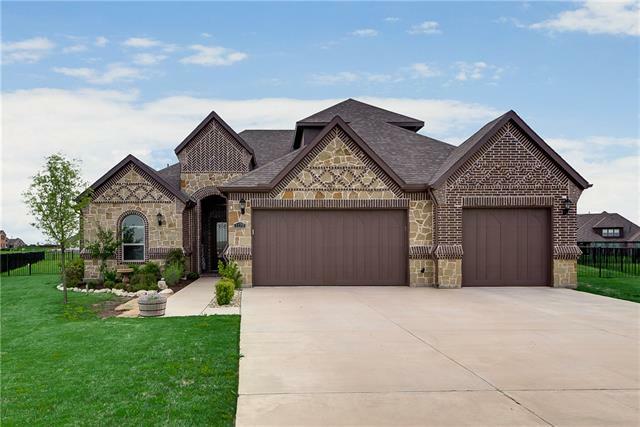 If you have any questions or you would like more information about any Gunter homes for sale or other Gunter real estate, please contact us and one of our knowledgeable Gunter REALTORS® would be pleased to assist you. "Amazing property with 5 or 10 acres (additional 5 acres sold separately). 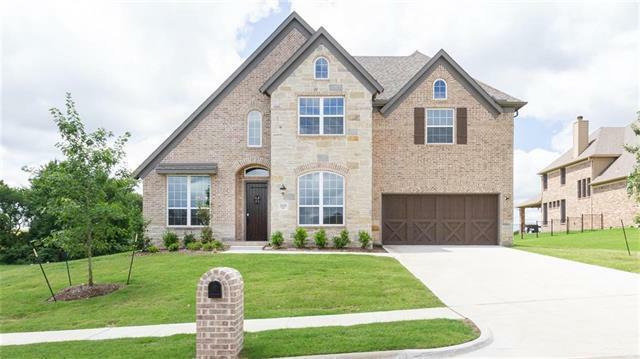 This beautiful 6123 sqft home boasts 4 bedrooms, 2 up, 2 down each with their own walk in closet & full bathroom, huge kitchen with quartz counter tops, stunning dining room with hand crafted maple hard wood floors, game room & media room. Outside you will be greeted with a stunning secluded pool overlooking your acreage, outdoor kitchen and pergola with fireplace. 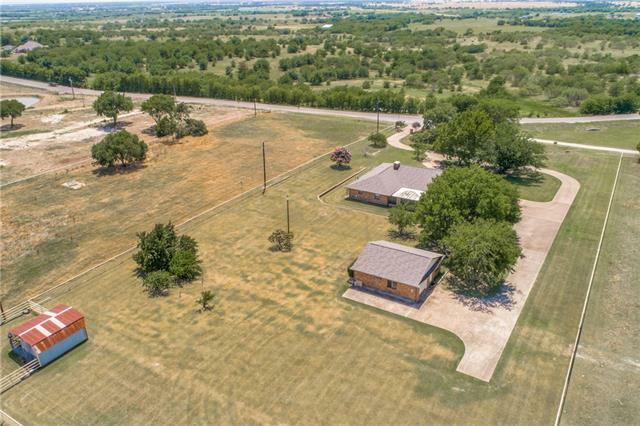 The house boast an 5 car garage & additional 2 car garage "
"Great investment opportunity with huge frontage exposure off FM121 just East of Preston Road. 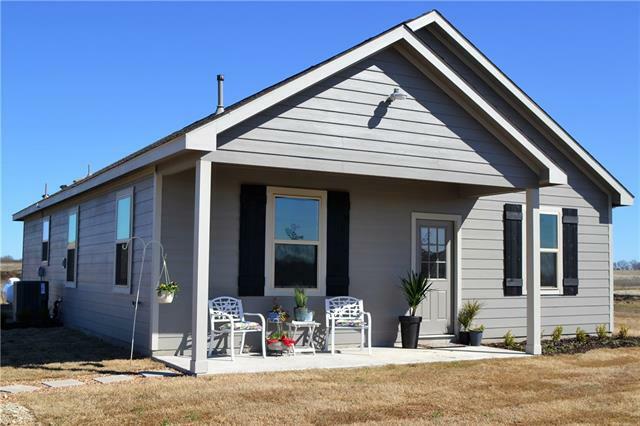 2749 square foot ranch style home on just over 15 acres with 900 plus square foot detached workshop with electric, single car garage, half bath, and tons of storage space. Can easily convert into in-law suite or income producing property. 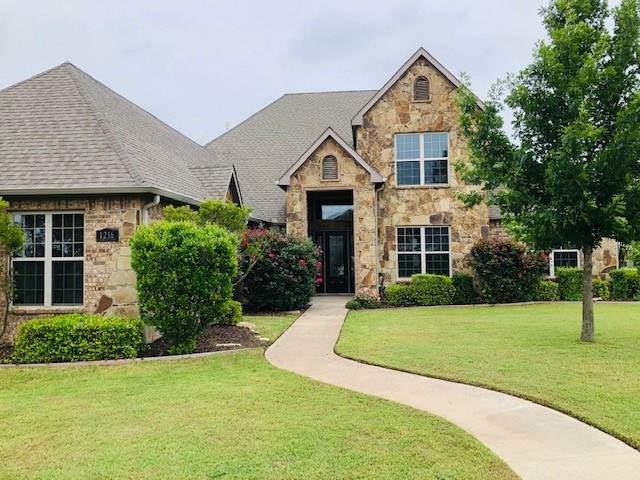 House has 5 bedrooms or 4 bedrooms with study, formal dining, formal living, and nice wet bar area that opens to larger living room making entertaining a breeze." "Stunning, stately residence sitting on a wooded lot in a cul-de-sac with a private lake.Step into a formal living and dining area with custom crown molding, columns, built-in wine and entertaining area.Gourmet kitchen includes an abundance of cabinetry,two Sub-zero refrigerators, and Jenn-Air appliances.Soaring Austin stone fireplace keeps the family room cozy.Master downstairs with an en-suite bath.All rooms have a resort-like view.Large covered back patio overlooks custom diving pool with upgr"
"Last Lot Available. 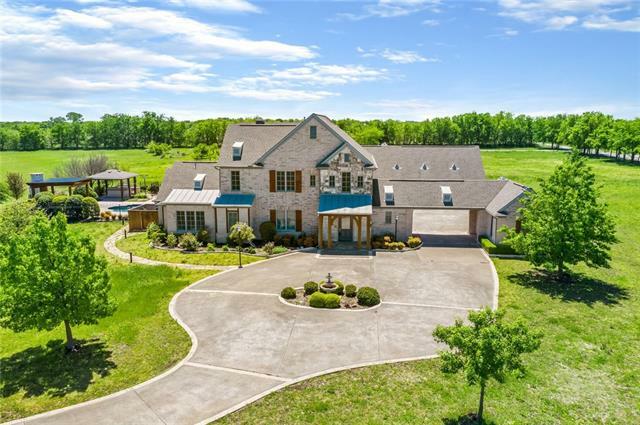 Amazing High End Custom Home on 3.85 Acres of Land. 4 Bedrooms 3.5 Bath 3 Car w Gameroom & Study. Horses & Metal Bldgs Allowed! Custom Home w Landscape w Grass-Plants & Sprinkler System, Driveway & Sidewalk, Septic System. Ready to Move in. High Ceilings w 8 Ft Steel Front Door, All Interior Doors 8 Ft, Wood Floors - Entry Study & Family, Granite Kitchen & All Bathroom Cntops, 42 Inch Cabinets w Double Crown.Energy Efficient Windows.Energy Efficient Package w 16 Seer Trane HV"
"The custom built home in a golf course community has 5 bdrms, 4 full baths, media rm, study, quality design and high end finishes throughout. Hard wood flooring, travertine, and marble countertops through out with granite in kitchen. Oversized master suite with a bath suite that shower has an Sauna option. Home has capability to control house lights, security cameras, media room movies, temp settings from free iPhone app. 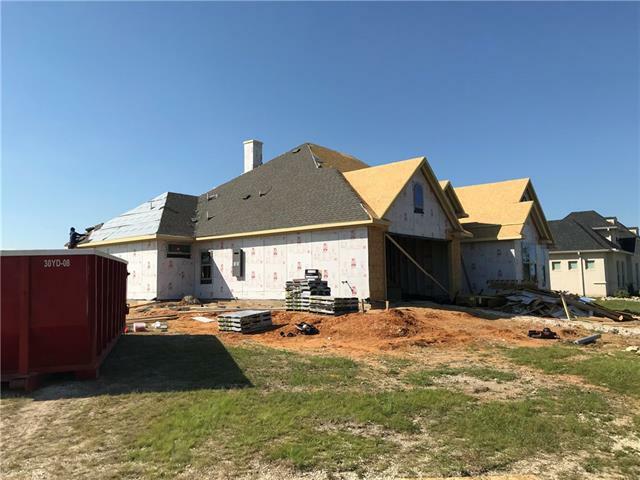 Geo thermal unit which saves on ac and heating bills, foam insulation in "
"Country living at its finest with over 3.5 acres nestled on a corner lot surrounded by trees and no HOA! 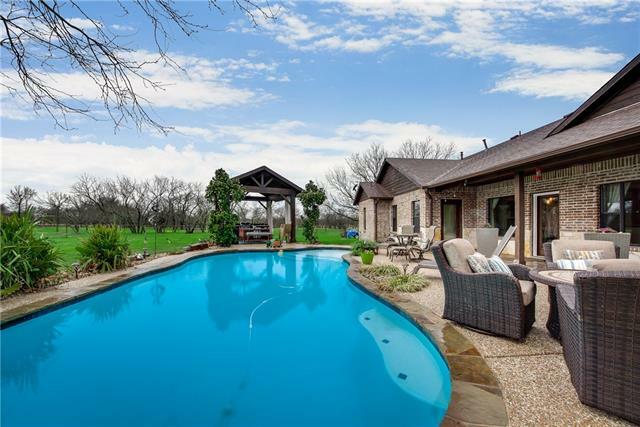 Property includes pond, fenced-in chicken coop and garden, loafing shed ready for livestock and horses, gorgeous pool, huge covered outdoor patio with cabana and outdoor kitchen perfect for entertaining! But wait, it gets better! The inside of the home features 3 bedrooms 3.5 baths each bedroom with their own en suite bathroom - one of which is handicap accessible. No carpet anywhere! Beautif"
"MLS# 14045695 - Built by Taylor Morrison - Ready Now! 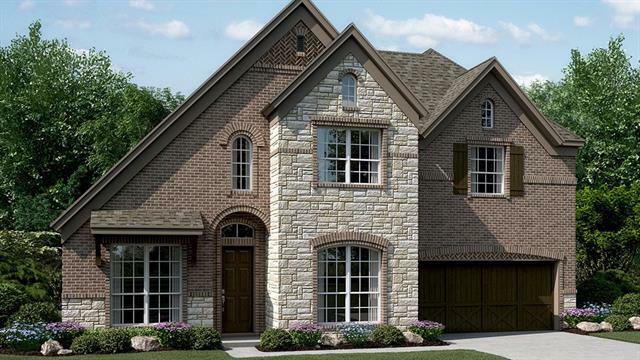 ~ The Stratford has beautiful curb appeal including intricate herringbone brick and carriage-style garage doors. Foyer features soaring 19' 5 ceilings leading to dining, study and open-concept kitchen and family room beyond. Beautiful kitchen island with a curved snack bar that overlooks the spacious family room. The family room is open to the second floor above, creating an open and airy living space. 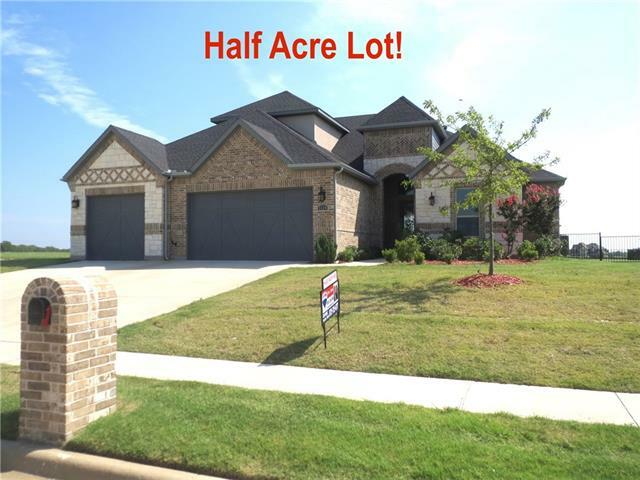 The second floor features three addition"
"Exceptional home in the Exceptional Gunter ISD! Features include wood look tile flooring, 4 FULL baths, quartz in all wet areas, brushed nickel fixtures, tankless WH & underground propane tank. With this exclusive community you'll have access to modern amenities such as pool, golf, gym facilities as well as a full service clubhouse. The secluded master offers a tranquil setting with a stand alone tub, double vanity, designer color palette & sep shower. Ease of use laundry room which is attached "
"MLS# 14045693 - Built by Taylor Morrison - Ready Now! 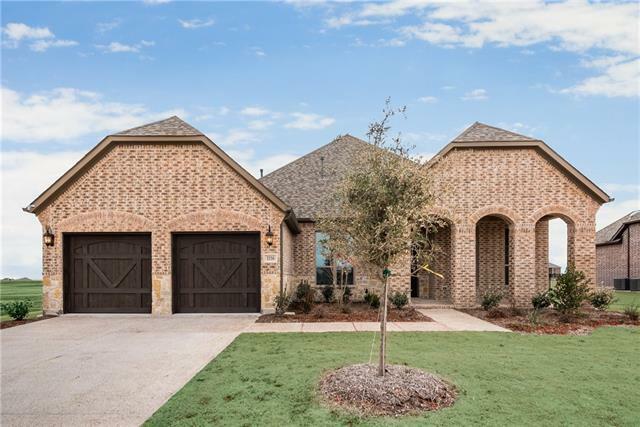 ~ The Stratford has beautiful curb appeal including intricate herringbone brick patterns and carriage-style garage doors. The impressive front foyer features soaring 19' 5 ceilings that lead guests past the dining room and study to the open-concept kitchen and family room beyond. The kitchen boasts a beautiful island with a curved snack bar that overlooks the spacious family room, which is open to the second floor above, creating an open and "
"Must See! Beautiful one story 4b-3bath custom built home on 1.277 acres. This home features an open concept floor plan with a double master. The living area boasts floor to ceiling windows overlooking many beautiful acreages of farmland. Kitchen has stainless steel appliances, granite counter tops with walk-in pantry. All 4 bedrooms have walk-in closets. Large patio with spacious backyard. Many updates including carpet, paint, lighting, faucets, and fixtures." "Megatel Homes' Aspen home design in the Bridges of Preston Crossing Golf course community, 2 story home on half acre home site with 4 bedrooms, 3.5 bathes, 2 car, Study, game room and covered patio with hugh back yard, gourmet kitchen with white cabinets, granite counter-tops, Stainless steel appliances with gas cook-top, huge Master suite, large walk-in closet, wood floor entry. This home is 100% Energy Star certified. Highly acclaimed Gunter ISD schools. Fred Couples signature 18 hole Golf co"
"MLS# 14045669 - Built by Taylor Morrison - Ready Now! ~ The Woodbury is a thoughtfully designed home with flexible options to suit the unique needs of your family. The family room serves as the heart of the home, overlooking the covered back patio through a wall of windows. A beautiful central fireplace in the family room is visible from the open-concept kitchen and breakfast nook, as well as the nearby dining room. The private master suite features beautiful tray ceilings and a huge walk-in clo"
"UNDER MARKET VALUE! 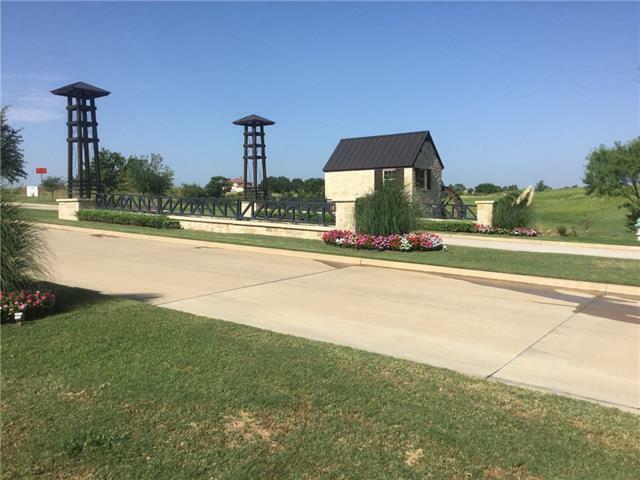 Rare opportunity to purchase a stunning home on double lots.730 Acres in the master planned golf course community of Bridges at Preston Crossing. This home boasts amenities to suit every lifestyle starting with the breathtaking views of rolling hills. There s plenty of space to host holiday gatherings in this sprawling single story. Gorgeous custom cabinets, granite counter-tops, undermount lighting and convection microwave are some of the many features the kitchen has to o"
"Park your boat or RV, or build a workshiop on this amazing property with 1.26 Acres of land. Beautiful 4 bedrooms 3 bath home built in 2014. 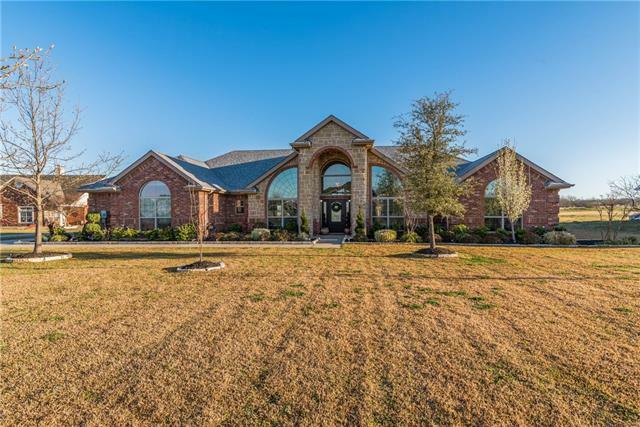 With over 3100sqft the home sits on 1.26 acres of land. Nestled in a small subdivision this property is a dream for those who like to be away from the hustle and bustle of the city, but still, maintain social friendships with the subdivision community. With 2 bedrooms & 2 full baths down it's perfect for entertaining guests, or family members. The media roo"
"GO SHOW! About to pour concrete slab. Late summer 2019 Completion!!! Beautiful, Affordable, New Construction by Ambit Custom Homes, LLC. 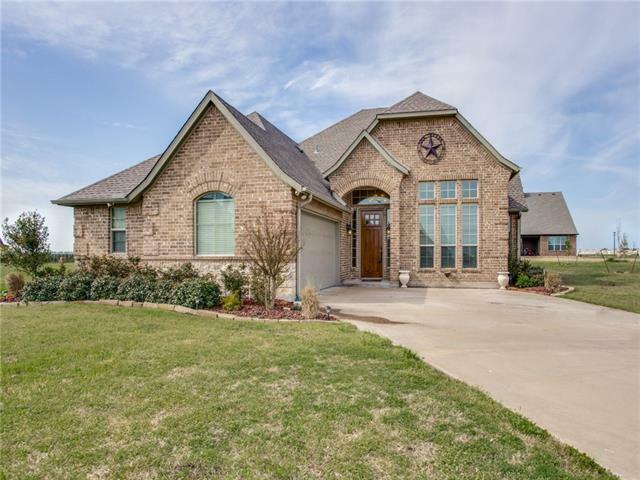 One story home with 4 bedrooms, 2.5 bathrooms, 2 car garage, and a stunning vaulted ceiling great room. Smartly designed kitchen with granite counter tops and custom shaker style cabinets all opening to dining and family rooms. Plenty of the other nice features you would only expect in a custom home." "GO SHOW! We can modify this plan or we have others! Beautiful, Affordable, New Construction by Ambit Custom Homes, LLC. 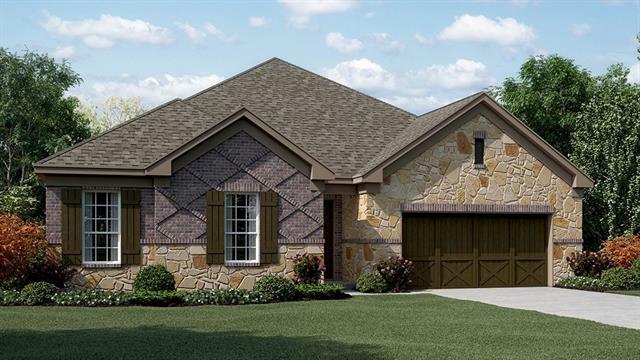 One story home with 4 bedrooms, 2.5 bathrooms, 2 car garage, and a covered patio and large great room. Smartly designed kitchen with granite counter tops and custom shaker style cabinets all opening to dining and family rooms. Plenty of the other nice features you would only expect in a custom home." 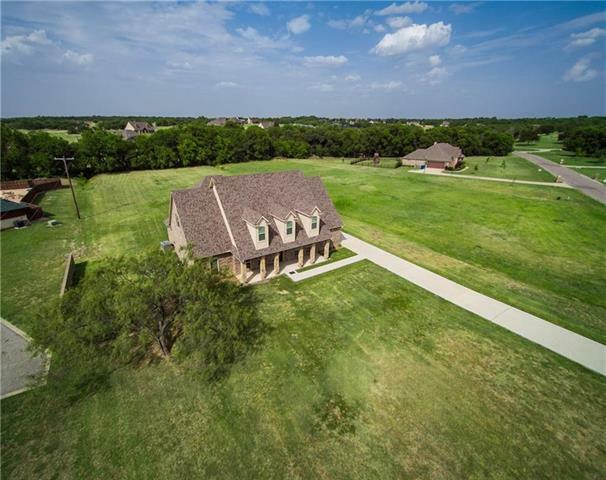 "Check out this Charming 3 Bedroom 2.1 bath Home Located in the Bridges of Preston Crossing Golf course community in The Highly Sought After Gunter ISD. This 2,376 Square Foot Home Offers an incredible spacious gourmet kitchen with custom cabinets, granite counter-tops, Stainless steel appliances and gas cook-top. Open concept living area great for entertaining, Wonderful separate dinning area. Secluded spa like master suit with large bath. 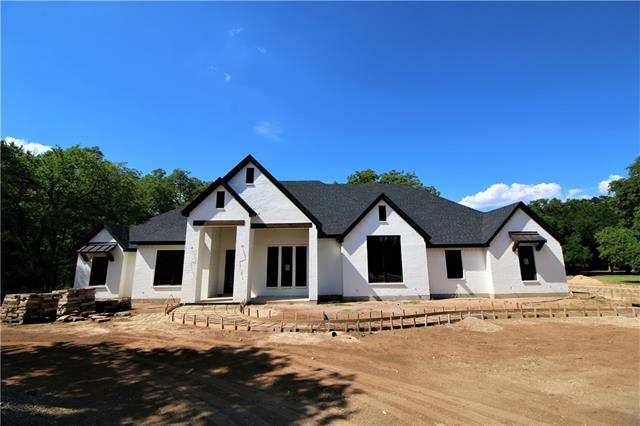 Electric Fireplace, 2 Car Garage, Large backyard located"
"You'll fall in love with this brand new custom built country home tucked off the road on over 1.5 acres in the nationally recognized Gunter ISD! The open and bright living room flows into a spacious Chef s kitchen, featuring stainless steel appliances, custom cabinets, and beautiful granite countertops. Three bedrooms, two full bathrooms, a separate laundry room, and a spacious front yard. NEW UPDATES - landscaping, underground sprinkler system (front & backyard), fresh sod, and the cement"